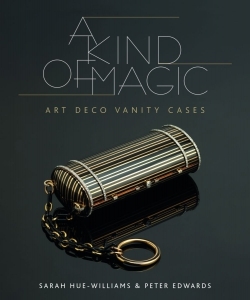 Showcasing jewels and bringing them to life, these 40 stories are an intriguing blend of art, science, history and psychology, tracing the lives of jewels and all those connected to them. The authors have brought their considerable knowledge and experience of handling jewellery and gemstones to compiling a lavishly illustrated book of stories in which the jewels are not always the most expensive or 'important' to have passed through the saleroom, but rather are those that have an intriguing history or provenance attached to them.Spanning diverse cultures and countries, different time periods and design eras, the stories allow us into the private lives of those who have loved and lost jewellery, who have owned and treasured, commissioned, designed, created, given and received it, and who have marked the most memorable moments of their lives with it. The stories in this very different type of jewellery book have never been shared publicly before, and all of them are true. Sarah Hue-Williams is a freelance gemmologist, jewellery historian and lecturer. Winner of the Anderson Medal for Gemmology, she is a Fellow of the Gemmological Association of Great Britain and author of Christie's Guide to Jewellery. Raymond Sancroft-Baker was European Jewellery Director at Christie's for over 20 years and is a Fellow of the Gemmological Association of Great Britain.